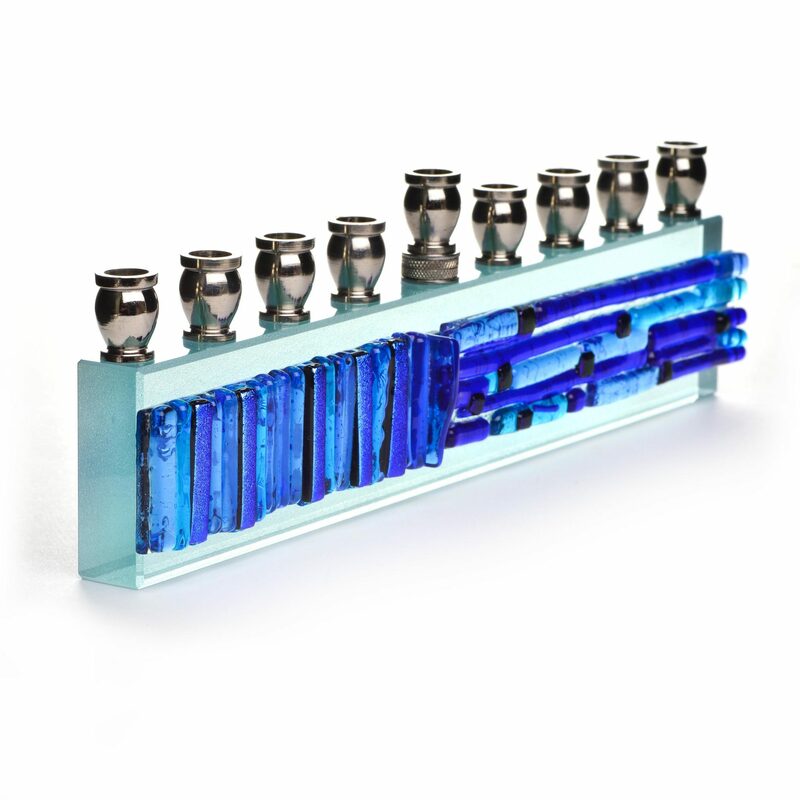 “K4” symbolizes the Four family members over Two generations of the Kelemen family. 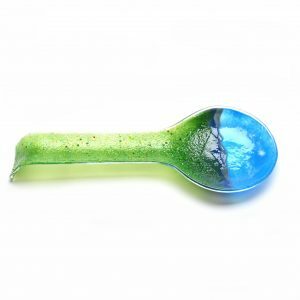 That’s the easy bit. 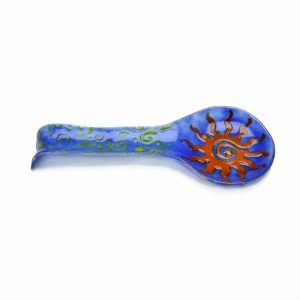 The “Glassart” part is a much longer story that sprouted roots in Caracas, Venezuela and thrives today with kilns in Asheville, NC. 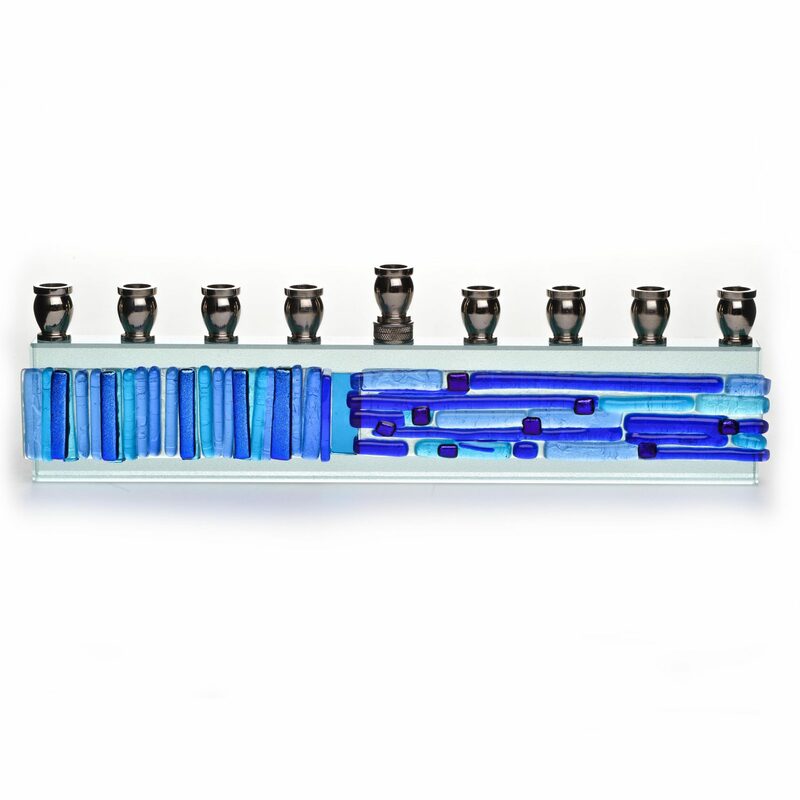 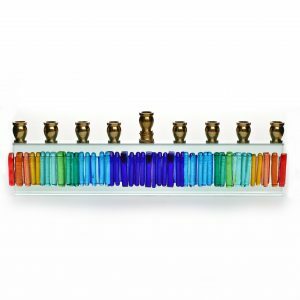 Menorah fused in blue-toned glass, with an icicle texture and with a mirror in a turquoise tone. 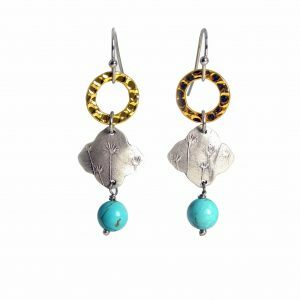 Artist Alicia Kelemen fuses the colorful glass together, then laminates it to a glass surface in a light greenish tone, and adds silver metal tops.